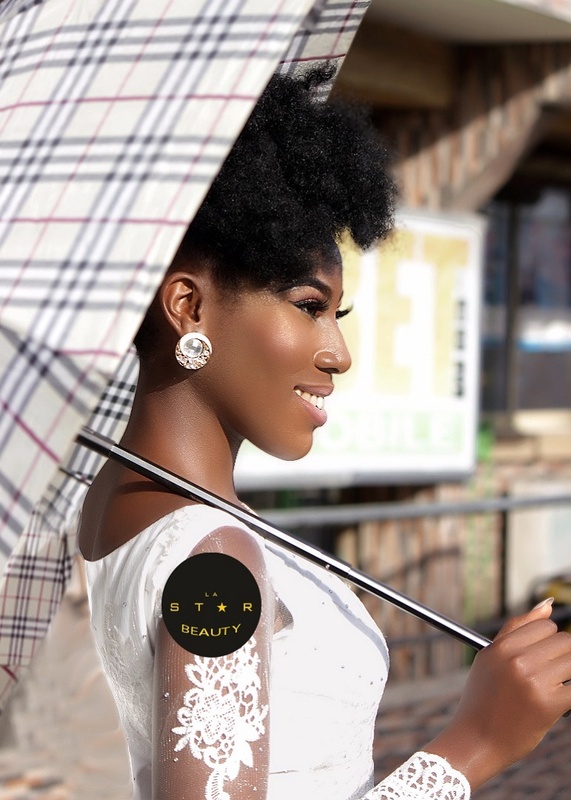 Cameroonian model Mercy Joyce needs no one but her make up artist, Corine Lastar and photographer, Samson Wilson to look ready for her big DAY! 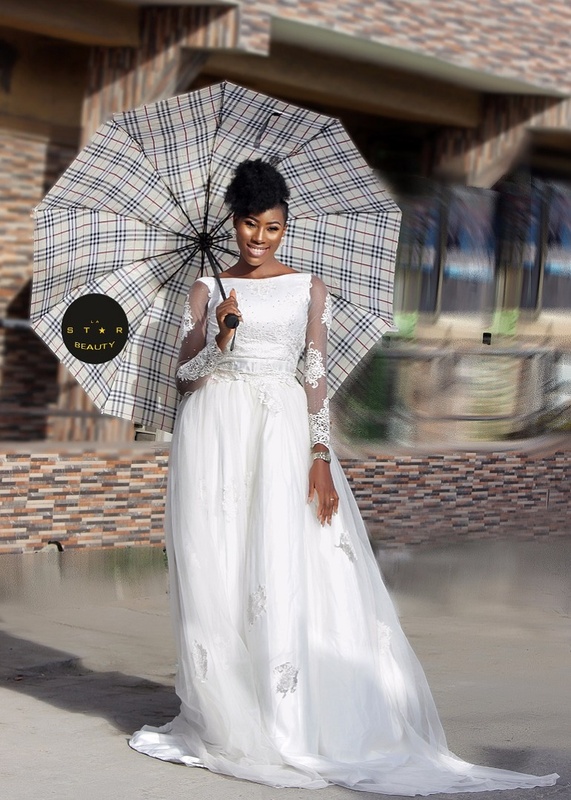 The stunning model features in a beautiful bridal photo shoot in Lagos, Nigeria where she’s all smiley and ready to walk that walk…. walk down that aisle…that street aisle… whatever! 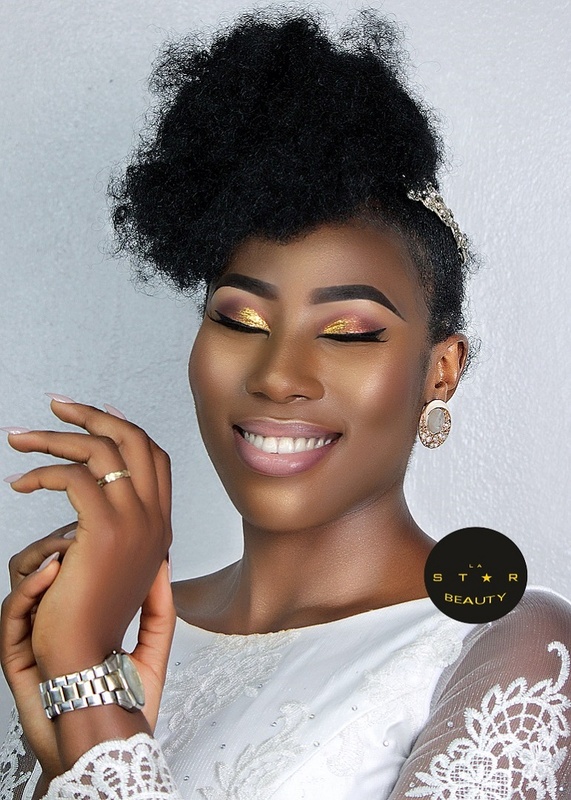 Mercy Joyce, who is currently in Nigeria to represent Cameroon at the 2018 Miss Africa Beauty Queen pageant, took some time off to team up with celebrity makeup artist, Corine Lastar for these amazing bridal pictures on the busy streets of Nigeria’s busiest city- Lagos. 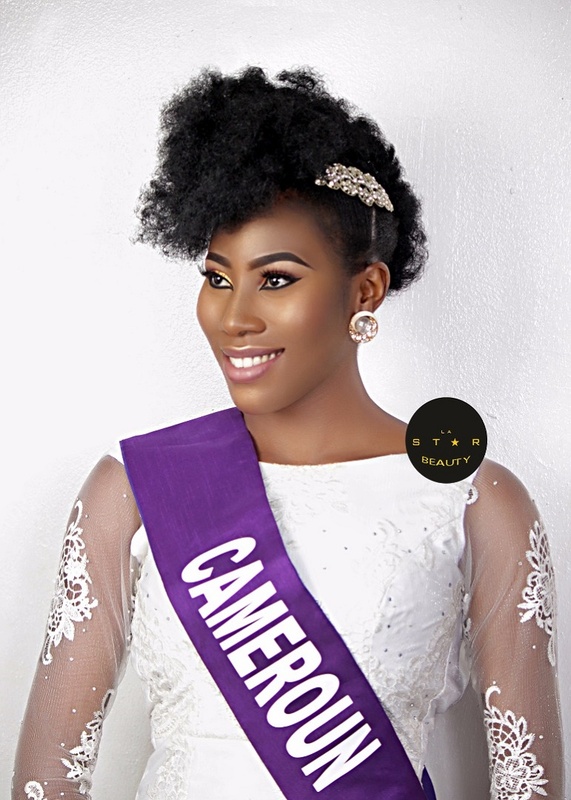 “In the month of March, 2018, I journeyed to Nigeria with the purpose of representing my country Cameroon at the maiden edition of the Miss Africa Beauty Queen pageant. It was the kind of experience I wouldn’t trade anything for. Meeting contestants from other countries of Africa felt like living in all these countries at the same time. 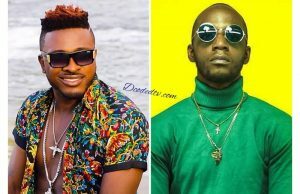 It was truly an honour to be the face of my country at a contest and I look forward to representing Cameroon internationally again,” says Mercy. 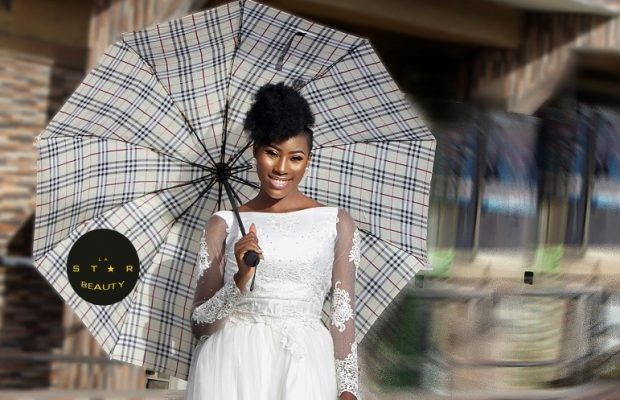 Mercy looks radiant and ready for the aisle as she dons a beautiful white lace wedding gown while covered with a Burberry designed umbrella. 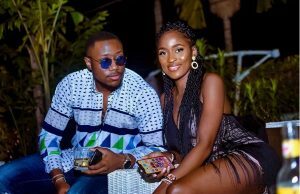 Just like we spotted that diamond sparkling nicely on her left hand, so did we notice how lovely the bride-to-be smiles and oops! Did we forget to mention how dark and rich her natural lock rocks! ?